This may not come as a surprise anymore, with 11-4 odds and a record of 13-3, the Seattle Seahawks tops the list of major contenders for the Super Bowl XLVIII. This team is one of the fans’ heavy favourite, especially after defeating St. Louis Rams at home in week 17. The team topped the National Football Conference (NFC) as they finish the regular season. This gave the Seahawks a home-field advantage during the entire playoffs. Seahawks has never been defeated at home since the 2011 season ended for 14 straight games, until this season’s week 16 where the Arizona Cardinals defeated the team 17-10 at the CenturyLink Field, Seattle, Washington. The team’s roster is also packed with exceptional players with a formidable defense line and a strong offensive line. Contenders should execute the perfect play to get through the Seahawks. 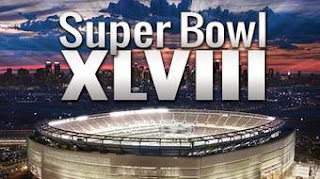 Another strong contender vying for the Super Bowl XLVIII is the Denver Broncos with 3-1 odds and a record of 13-3. Evaluating the Broncos is not the same from the Seahawks, which is all about balance from both sides of the ball and regularly dominating its opponent. The fate of Denver rests on the shoulders of Peyton Manning. This quarterback who broke the record for having the most passing yards made in a season 606 points. He broke New England Patriot’s Tom Brady with 589 points in 2007. With what this Hall of Famer has put together, there is a big chance that he can bring Broncos straight to the Super Bowl XLVIII. Denver also has an excellent offensive line up, but not so impressive defense line. With Broncos Linebacker Von Miller out ‘till next season due to an anterior cruciate ligament injury, the burden on Manning’s shoulder of bringing the team to victory grows even heavier. With an impressive way of finishing the regular season with a six-game winning streak by defeating the Arizona Cardinals in Week 17, San Francisco 49ers is definitely a team to look out for in the Super Bowl on Feb 2. The team has a 13-2 odds and a record of 12-4. The team’s formidable defense manifested during the second half of the season. Inside linebacker NaVorro Bowman leads the team’s ferocious defense. The team allowed only 15.3 points per game in their last six-games. The team’s addition Wide Receiver Michael Crabtree has made his presence felt as he made his come back in Week 13. Crabtree provided passing lane opportunities for other receivers, especially Anquan Boldin. Boldin covered the 1,000-yard mark of this season. Crabtree is one of the biggest threats to the rest of the contenders in the Super Bowl XLVIII. He is one of the biggest assets of the team that makes 49ers a team to look out for. 49ers is one of the best at running the ball in 2013, even with issues facing Frank Gore. The running game would definitely in the forefront of the offensive attacks of the team in the playoffs. With exceptional players and a well planned out defense and offense plays, this could be a great team to against the Seahawks. The Carolina Panthers gave the fans a spectacular finish for the regular season as they defeated the Atlanta Falcons in a thrilling game at the Georgia Dome. Now they have 10-1 odds, a record of 12-4, the NFC South Crown, as well as the Number 2 seed in the NFC. The team’s inside linebacker Luke Kuechly said they are good to go after they have hit the goal of focusing on moving forward. The Panther’s defense was one of the top-ranked units in the league as they finished the season. The Panthers can take on any NFC team or Super Bowl heavy contender with a balance offense which is led by quarterback Cam Newton. He hasn’t really proved himself yet, but he has been superb for the entire year with 30 total touchdowns, which 24 of them were passed, while the six were rushing. He also threw 13 inceptions. Panthers can definitely take any team head on, which is as expected by most fans. Despite issues injuries from some of the team’s players, New England Patriots is still considered as one of the top five contenders for the Super Bowl XLVIII. Star tight end Rob Gronkowski got a knee injury in the season-ending, which can be devastating to the team. But that fact didn’t stop the Patriots from becoming the Number 2 seed in the American Football Conference (AFC) with 10-1 odds and a record of 12-4. The team has a deep line of players that are prepared to step up when the team requires them to. Just the other day the Patriot defeated Buffalo Bills 34-20 at the Gillette Stadium, Foxborough, Massachusetts for Week 17. It was LeGarrette Blout who stepped up during that game, bringing the team to victory. He was the best player during that game said Bill Belichick. These are the five top contenders that will face each other in the big game at MetLife. The rest of the teams that are included in the list of 12 teams that are left to contend in the Super Bowl this Feb 2 are the Cincinnati Bengals, Green Bay packers, Philadelphia Eagles, Indianopolis Colts, Kansas City Chiefs, New Orleans Saints, and San Diego Chargers.